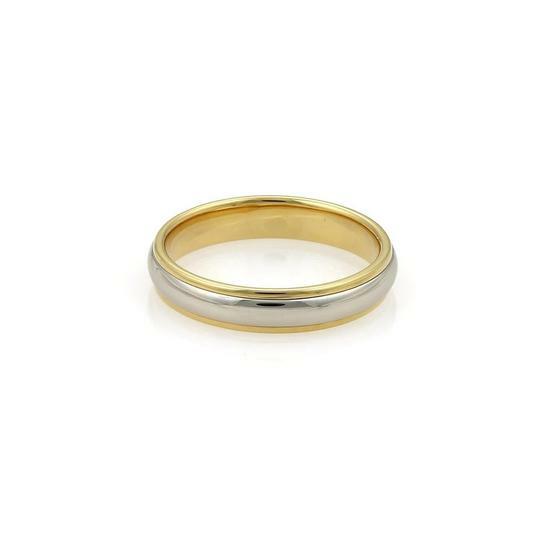 This authentic wedding band ring is from Tiffany & Co. 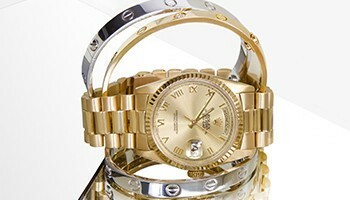 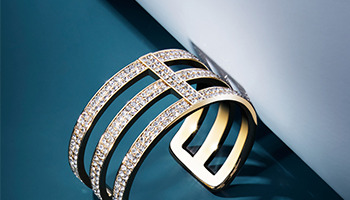 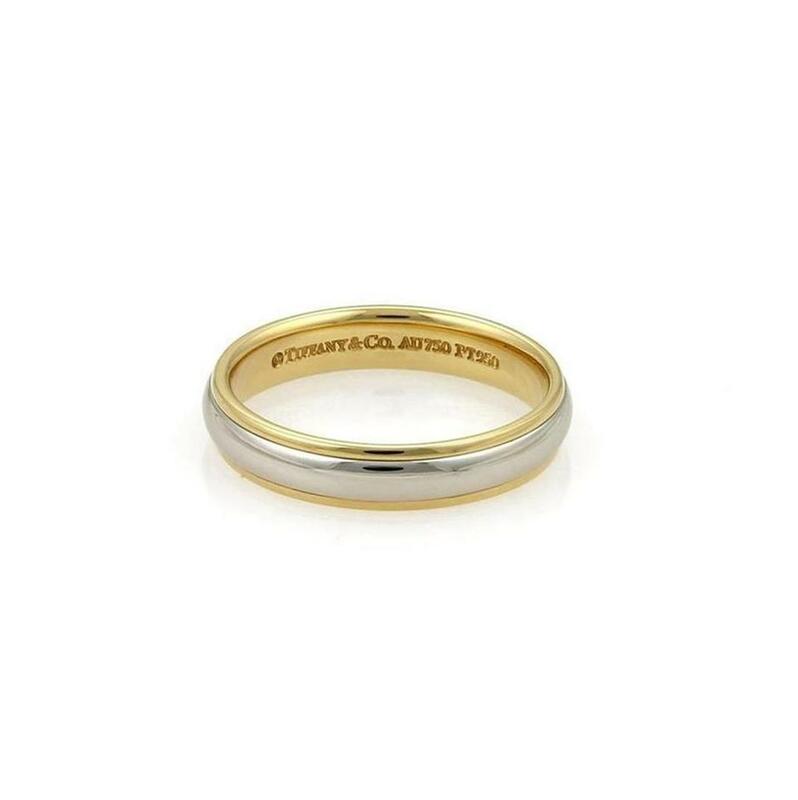 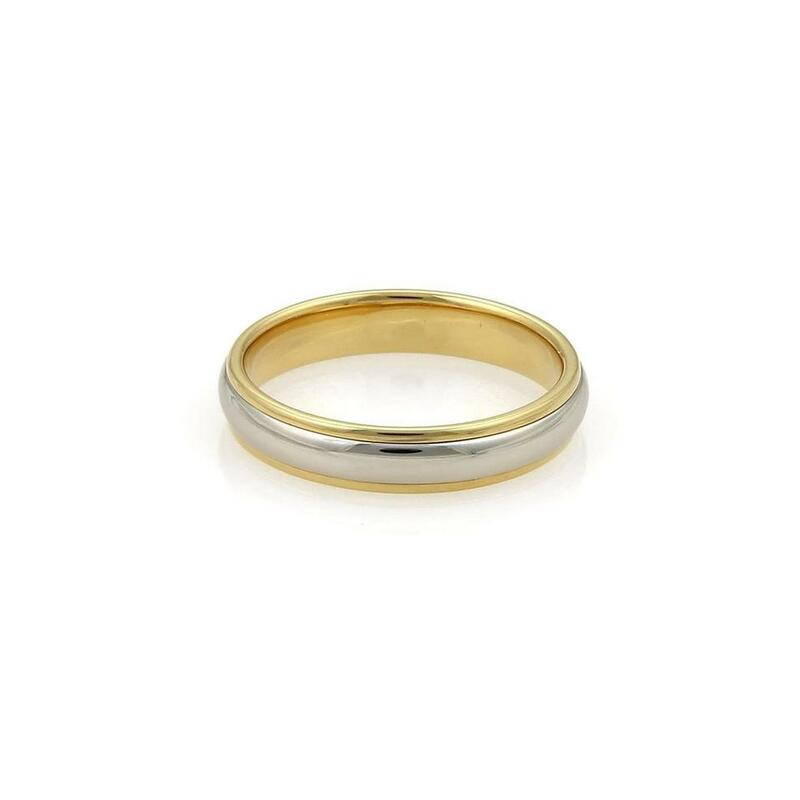 It is crafted in platinum with 18k and yellow gold, the center has a high polished dome form with platinum around the center and the double edge and inside of the band in yellow gold with a smooth polished finish. 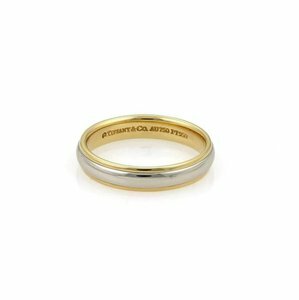 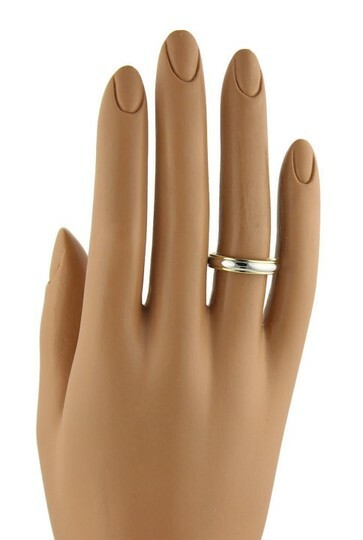 It is a simple yet sophisticated designer ring that will last a lifetime and is fully signed by the designer with the metal content.